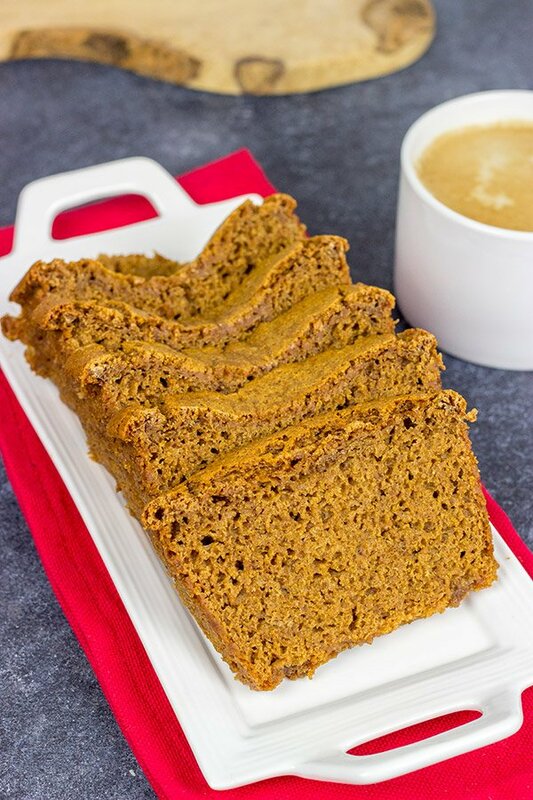 Ontbijtkoek is a traditional Dutch spice cake, and it’s a wonderful treat when served with a hot cup of coffee! Sometimes things surprise you in a good way. That’s what happened to us with Amsterdam. Laura and I took a trip to Belgium a couple of years ago, and we decided to visit another country while we were there. Brussels is one of the hubs of the European rail system, so we literally had our pick of places to go. After much debate, we chose Amsterdam. We figured we’d make dedicated trips to Paris and London at some point in the future. The travel time to some of the bigger German cities like Munich and Berlin was a bit too long. So we looked at a map and landed on Amsterdam. We figured Amsterdam would be a fun city to visit, and we also figured it’s not a city that we’d visit again on it’s own. Turns out we were wrong. We were completely taken aback by Amsterdam. It reminded us of Venice in that canals wind their way throughout the entire city. 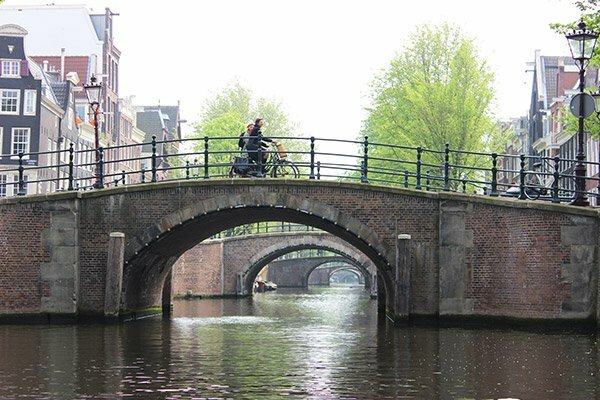 Turns out there are almost 1,300 bridges in Amsterdam. Crazy, huh? But wait. What about the whole legalized marijuana and red light district thing? Sure, that was there, but it was nothing like what we expected. Once we settled into our hotel, we pulled out a street map to see where the red light district was located. Sure enough, our hotel was in the red light district. But we couldn’t even tell! We found that part of Amsterdam to be so different than what you might expect in America. And the rest of the city was so charming that we decided to visit again this past summer! Well, to be fair, we returned to Amsterdam as it was the departure point for our Viking River Cruise down the Rhine. But we purposefully arrived a couple of days early (1) so we wouldn’t have any fear of missing the boat if our plane was delayed and (2) because Amsterdam is amazing. We actually stayed at the same hotel again as it was clean and within walking distance of Amsterdam’s main train station as well as the port. Have you ever visited Amsterdam? Tulip vendors and cheese shops are literally everywhere. On our first visit, Laura and I took a day trip out to the Keukenhof Gardens. 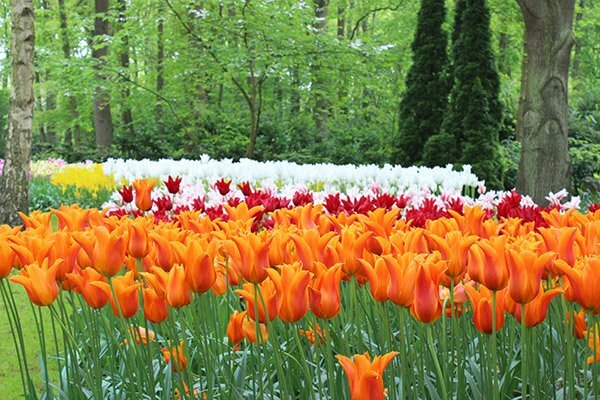 Spread over 80 acres, the gardens are home to over 7 million tulips, daffodils and other beautiful flowers. I wasn’t sure how I’d feel about visiting a garden for an entire day, but it was amazing! It made me want to come home and plant tulips all over our yard. (In fact, we did plant a bunch, and when they come up every Spring, they remind me of our trip…err, trips…to Amsterdam.) The Keukenhof is only open for about 2 months a year, and sadly it was closed during our trip back this past summer. If you’re planning a trip to Amsterdam, I highly recommend going when the Keukenhof is open! 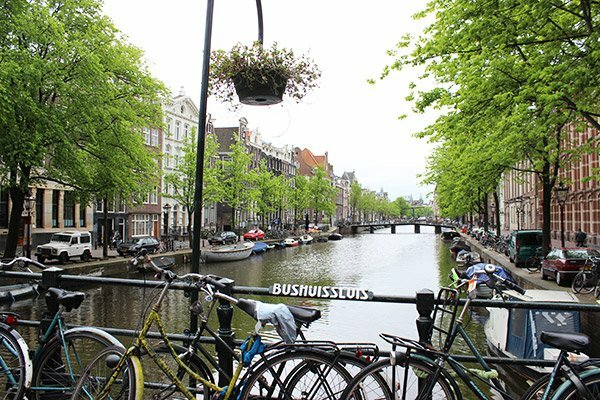 Our other favorite thing about Amsterdam? Cheese. Dutch cheese, more specifically Old Gouda and hard goat cheese, is literally a thing of beauty. There are cheese shops everywhere, and you better believe we went in every.single.one that we passed. We might have returned home with 8+ pounds of cheese. 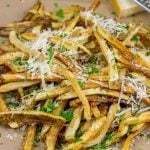 (Most of the cheeses are vacuum-sealed and able to stay at room temperature for several weeks before needing to be refrigerated.) On our return trip, my mother and sister discovered a love for Old Gouda as well, and they totally packed a bunch of cheese in their suitcases as well. The day before our Viking cruise departed, we returned to one of our favorite restaurants followed by a visit to one of our favorite pubs. If you ever make it to Amsterdam, definitely put Casa di David on the list. It’s an Italian restaurant that’s about a 15-minute walk from the main square. You’ll likely need to swing by earlier in the day to make reservations, but trust me when I say the time is well worth it! 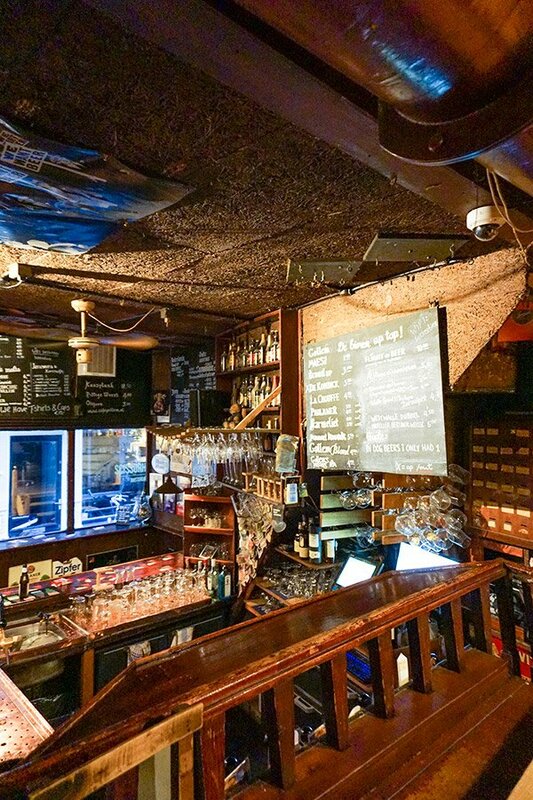 And if you’re into pubs and delicious beers, Gollem Bar is an absolute must-stop. It’s small (very small) and it features 22 taps and over 180 different bottles of beer. These are classic European beers that you likely won’t find anywhere in the States. We stumbled into Gollem on our first trip thanks to a recommendation from our waiter at Casa di David. And then we made our way back to both places when we returned to Amsterdam a couple of years later. Funny how that works! And while we were sitting in Gollem this past summer, we totally overheard the conversation of several folks sitting below us at the bar. They were having a friendly debate over the nuances and skills of various dragons, aka Game of Thrones style. If that wasn’t the perfect conversation for a tiny, dark European pub, then I don’t know what is! But enough of my rambling about how awesome Amsterdam is. Just take my word for it. It’s worth a visit! One of our favorite activities when we travel outside of the U.S. is actually visiting local grocery stores. Both of us like food (no surprise there! ), and we find it fascinating to wander the aisles of foreign grocery stores. They have so many different products…some of which I have no clue what they are. That’s how we discovered Ontbijtkoek. 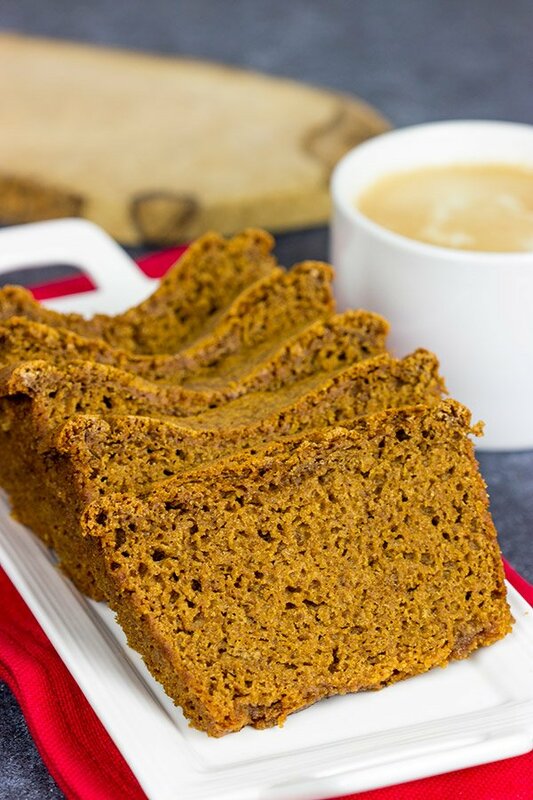 Ontbijtkoek is literally translated as ‘breakfast cake,’ and it is quite similar to American gingerbread. But it’s not American gingerbread. 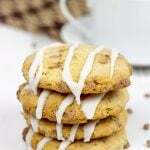 Ontbijtkoek is chewier with a more noticeable spice. 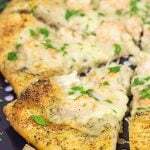 In many ways, it’s similar to the French Pain d’Epices, although Pain d’Epices often has a bit of fruity essence thanks to the addition of orange zest. 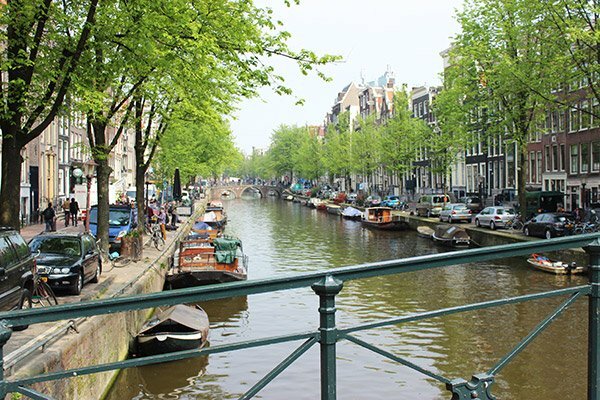 If you ever make it to Amsterdam, make sure to take a canal tour. (Tip: Pay a bit more for the smaller boat tours. It’s well worth the increase in cost over the larger boats.) 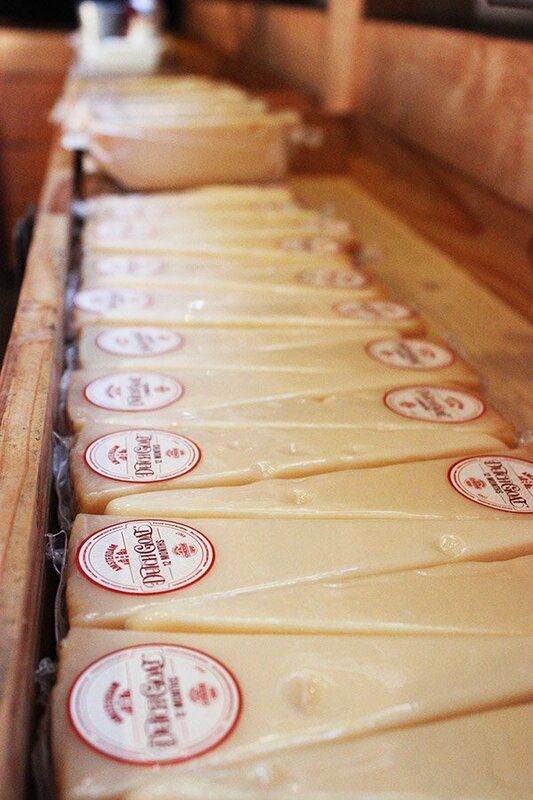 Stop in every Dutch cheese shop you can find. 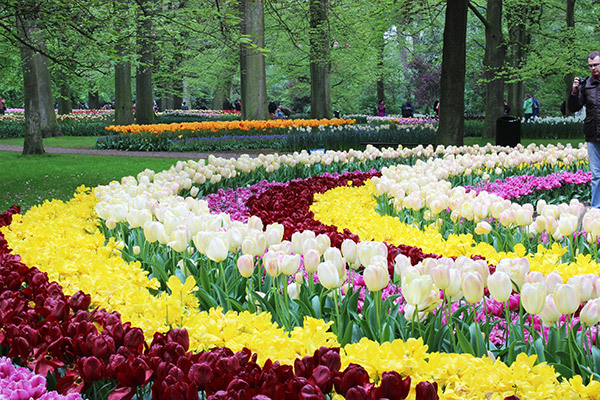 Visit the Keukenhof Gardens (if they’re open). And grab some Ontbijtkoek to bring home. 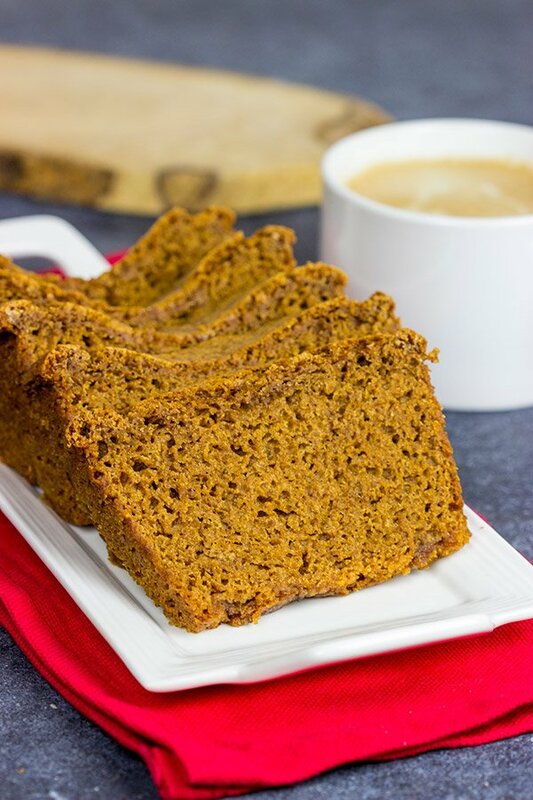 In the meantime, just bake a loaf of Ontbijtkoek and enjoy it during the holiday season with a cup of strong coffee. Cheers, friends! Preheat oven to 300°F. Grease and flour a standard loaf pan; line pan with parchment paper (optional). 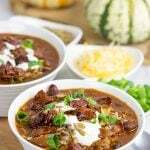 Using a medium bowl, combine all of the dry ingredients (rye flour, all-purpose flour, brown sugar, baking powder and spices). In a separate bowl, combine wet ingredients (milk, honey, molasses and vanilla extract). Pour wet ingredients into dry ingredients; stir until smooth. Pour batter into prepared loaf pan. 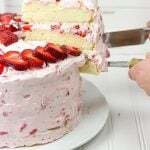 Bake for 70-75 minutes, or until a toothpick inserted into center of cake comes out clean. Let cool in pan for 10 minutes and then turn cake out onto a cooling rack until completely cool. Wrap in foil or plastic wrap. Serve toasted with butter. Amsterdam sounds like a marvelous place to visit. I loved all of your beautiful pictures. This Ontbijtkoek sounds yummy. It sounds like it is full of flavor. Wow, our paths could’ve crossed in Amsterdam, and we wouldn’t have even known it! 🙂 It really is a lovely city, and we can’t wait to get there again some day. In the meantime, this Ontbijtkoek is a fun recipe to make at home…but don’t even try to pronounce it. Hah! Thanks so much, Marina! I must make this for Christmas breakfast! We always had toasted (and buttered) poundcake early Christmas morning when the kids were little—but this sounds better! Ohhh…toasted and buttered pound cake is one of those Christmas delights! Man, that takes me back to my childhood right there. 🙂 But this Ontbijtkoek really is a fun bread as well. It’s unique, and I found it fun to try my hand at this classic Dutch bread. Give it a shot sometime! Thanks so much, Kim! Amersterdam is AWESOME! I traveled there with a buddy over 10 years ago so I’m definitely due for a return visit. The food was amazing (I tried Indian food for the first time in Amersterdam), the city was easy to navigate, and the majority of the people were super nice (remind me to tell you the story about my comedy club experience). This breakfast cake looks legit. I love spice cakes so I’m definitely pinning this! Yes! You are definitely ready for a return visit to Amsterdam, Christina! I had forgotten that, but there are some amazing ethnic food restaurants in Amsterdam, too. Actually, Europe in general gets an A+ for it’s various ethnic food restaurants. We’ve had some amazing food on our travels, and in the most unexpected of places! Keith and I are smitten with Amsterdam and, if I wasn’t already sold on going there, now I want to book a flight immediately! I’ve never heard of this delicious looking cake, but yum! How on earth do you pronounce it!? lol! Oh man, your guess is as good as mine on pronouncing this one, Marissa! I’ve even had Google tell me how to pronounce it, and I still can’t do it. Haha! 🙂 And I’m right there with ya. I’d book a flight back to Amsterdam today if I could! Thanks so much, my friend!! There’s nothing I like more than cake for breakfast! But this cake doesn’t have frosting. Does that still count?? My parents visited amsterdam once and loved it too – but I dont think they tried Ontbijtkoek though as my dad wouldn’t have stopped talking about “cake for breakfast” if he had! Awesome recap of Amsterdam, David – am putting it on our list – next time y’all are thinking of where to go – y’all have gotta make it to London and go to any small, hole-in-the-wall pub and try their savory pies! Hope y’all are having a wonderful, warm weekend – it is super cold up here today – so hoping yall are staying warm! London has absolutely been on our list for a while now! We’re visiting with my Mom in January to talk about vacation for the coming year…so we shall see what 2018 holds. I like the idea of savory pies, though! 🙂 In the meantime, we’re holed up here staying warm by the fire…and eating Ontbijtkoek. But we are most definitely not trying to pronounce it. Haha! Hope you gals are doing well, too! I really wish if I could get a chance to visit Amsterdam. Loved those pictures, David. And of course, the cake is awesome. This cake is going to be a big hit in my family. I’m so jealous right now, David! Amsterdam is definitely one of 5 places I’d like to visit first. I even bought a book for self-directed learning of the Dutch language over 10 years ago (I had an impressive progress durung those 3 months. I learned a dozen of words and 2 phrases haha). Also, I got a culinary book which combines the Belgium and Dutch cuisines few years back. It looks beautiful although I haven’t tried recipes yet. I’m going to check this Ontbijtkoek. 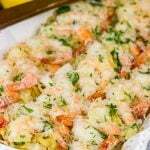 If your recipe turns out not to be the same as from the book, you will send all the leftovers, agreed? But if seriously, it looks amazing. This airy texture! And I like use of rye flour – very interesting touch. Wow, you have a book on teaching yourself Dutch!? I’m so impressed, Ben! (For the record, we found Amsterdam very easy to get around in with just English.) I have a similar book on teaching myself Italian, but I just haven’t gotten around to doing it yet. I always thought Italian is such a pretty language! Anyways, go to Amsterdam sometime in 2018. Seriously! It sounds like you’re already ready to head over. So the rye flour in Ontbijtkoek is a key ingredient. Give this bread a shot sometime during the holidays. It’s a fun one. Not as sweet as most quick breads that I’m used to, but I found it to be rather delicious. And it’s filled with a wonderful assortment of spices, too. Now quit reading my response and start planning your trip to Amsterdam this year. Seriously!! 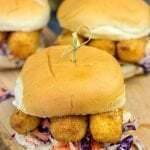 This looks delicious and your trips sound amazing! I must admit, I’ve never added black pepper to bread before. Sounds interesting. 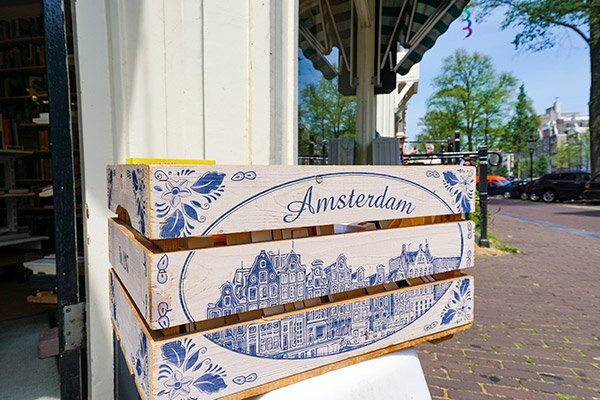 One day I’d love to visit Amsterdam…in the meanwhile I’ll enjoy this bread and your pictures. 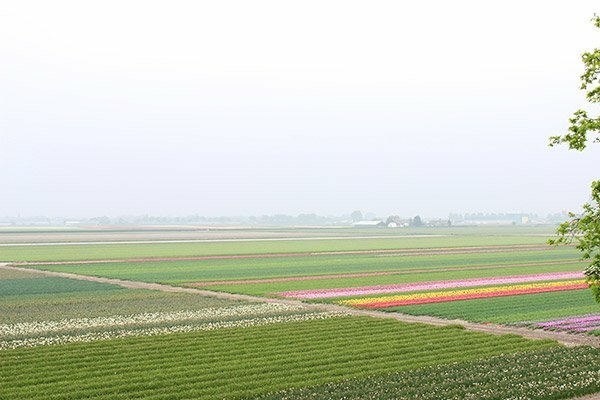 Those pictures of the tulip fields – beautiful!!! I love Amsterdam too! I’ve been there probably half a dozen times for work, and I always enjoy my time there. My favorite thing is to just stroll around the canals and enjoy the atmosphere. I was a little caught off guard with the Red Light District the first time I saw it, but then after that it kind of lost its shock value. I haven’t had this breakfast cake there, I’ll have to look out for it the next time I’m there & try making this at home before that! Wow, a half dozen times! You really have been to Amsterdam a bunch! I agree with you that the Red Light District has a shock value, but it’s nothing like what you might expect. At least I didn’t think so. 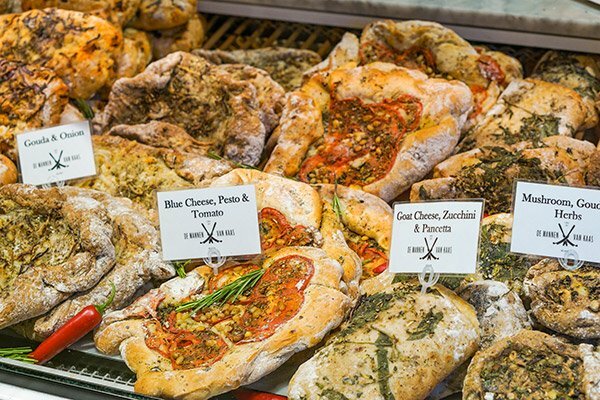 Next time you’re there, go into a grocery store and look at their bread section. You’ll see a whole bunch of varieties of this Ontbijtkoek. But in the meantime, try making a batch at home…and then sit around and look at pictures from Amsterdam. 🙂 Thanks so much, Nicole! I hope you had a great weekend, my friend! 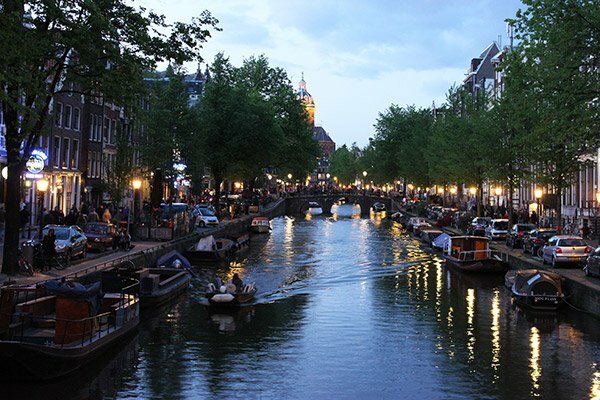 I have to visit Amsterdam, it looks so beautiful!! 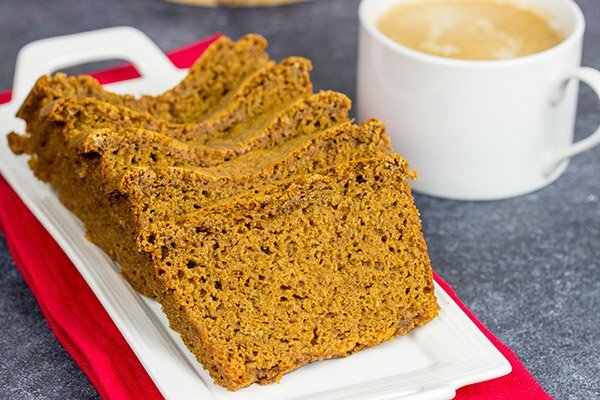 This spiced cake- Ontbijtkoek looks lovely, although I still can’t pronounce it :D. Great flavor with all those spices and caramelly chewy molasses! You definitely need to put Amsterdam on your list of places to visit, Deepika! We didn’t know what to expect, but we fell in love with the city! 🙂 Also, Ontbijkoek is a pretty darned fun breakfast bread (or afternoon tea bread). Like you, I can’t pronounce it…heck, I can barely spell it! But it’s still delicious!! Thanks so much, my baking friend! I’ve never been to Amsterdam, but have friends who rave about it. Maybe next time we decide to cross the pond (so much further from West Coast), we will go. I loved your descriptions and photos. The breakfast cake is lovely too! Well you can count me among the friends who rave about Amsterdam, Laura! We didn’t know what to expect when we went there the first time, but we fell in love with the city! It is indeed a long trip from the West Coast, but do keep Amsterdam in mind next time you make it over to Europe. It’s a wonderful city, and this breakfast cake is mighty tasty, too! Thanks so much, my friend!! Hi, thanks for the recipe! The texture is spot on, but the spice puts it closer to a gemberkoek, or kruidkoek. To pronounce as close as possible, say “aunt bite cook” really fast. Make sure not to say “ant” but rather “awnt”, like you’re from Minnesota. Also, thanks for the pronunciation notes here! Awnt Bite Cook. Cheers, my friend!